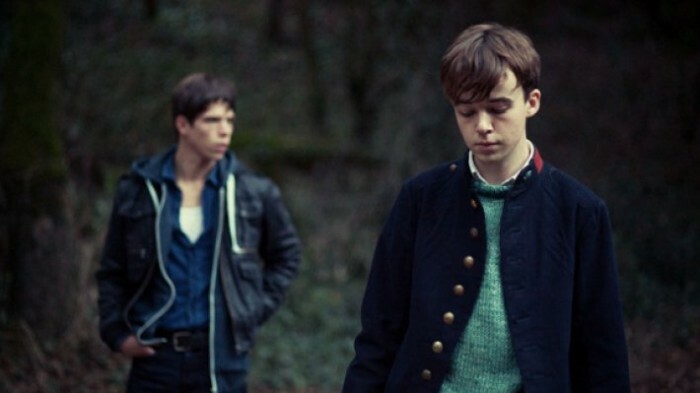 In Andrew Steggall’s enigmatic, delicately crafted Departure, the young Elliot, played by Alex Lawther, is the distraught centre of a strange and psychologically layered conflict in the south of France. 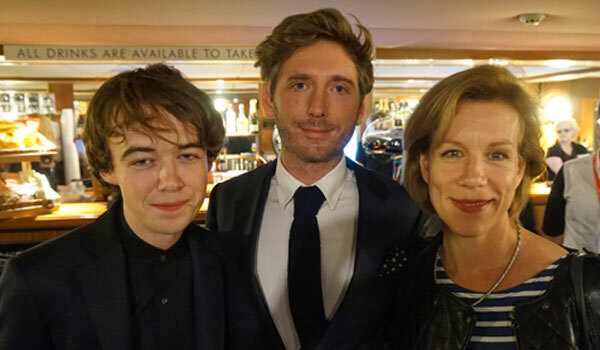 When Elliot and his mother Beatrice (Juliet Stevenson) spend a week clearing out their holiday home in the wake of a parental split, their uncommunicative relationship grows increasingly tense as lingering issues remain unresolved and unspoken – a situation further complicated by the appearance of a French boy named Clément (Phénix Brossard) who quickly wins Elliot’s affections. 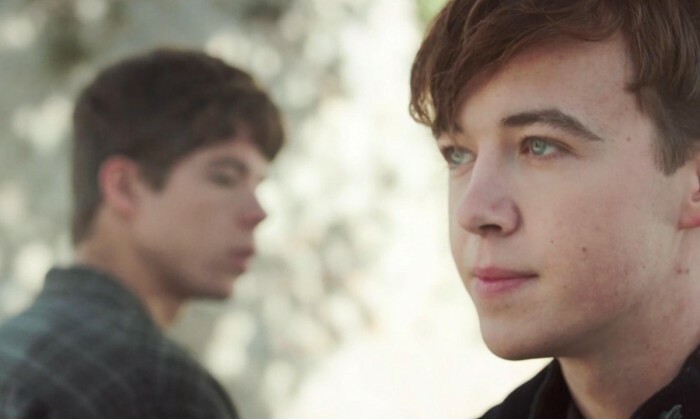 I was fortunate to speak with Alex Lawther who discussed his compelling role in this measured, emotionally complex British drama. So let’s start at the beginning. How did you first hear about this film? 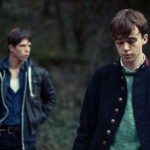 I met Andrew (Steggall) the director about a year before we started shooting. I read with him – just quite a straightforward auditioning process – and then, because this was an independent, low budget British film, it took a while for it to be fully financed and for us to be able to shoot. It was actually a blessing in disguise because I got to spend a year in contact with Andrew and sort of pick his brain, because there’s so much in the script. There’s a lot of people speaking to each other but often not saying very much at all, and there’s so much going on underneath. So it was really useful having time with Andrew to be very precise about what that was: about what was not being said and what was not written and what was left out, and this cerebral world of Elliott because he’s so much in his own head. We discussed just what Andrew had imagined Elliott reading, the films that Elliott would’ve been watching and this whole imaginative world. That was very useful. Would you consider this to be one of your more challenging projects? I consider it to be something I’m very proud of. We shot over only twenty days, and against the odds of money and time, we got the film made and we enjoyed making it. The more I worked, the more I realised how fortunate we were to get it made and also how lucky I was too work with someone like Andrew, who is just a little genius really, and Juliet (Stevenson) who has always been on my imaginary list of people I’d dreamed of having an opportunity of working with but never really thought it would be possible. And what was it like finally working with her? It’s an old adage that when you work with really brilliant people, they make you better – and it’s very true. Juliet is very brilliant but also incredibly kind. She has been working for film and theatre for decades and for her to agree to come onto a first-time director’s feature, which was going to be co-led by a young actor, was very brave of her because anything could’ve happened. She really brought us all up to another level. With her experience and also with her intelligence, she was very much a steer of the ship that was Departure at times. Andrew and I, because of our lack of experience, were very fortunate to have someone who was thinking twice as fast as us and had tenfold the amount of talent as either of us. That’s Juliet, she’s sort of a force of nature but a very kind force of nature. So do you feel that Juliet rubbed off on you and your final performance in any way? Juliet has a natural warmth about her that attracts people. You want to be in her company. Andrew had to keep reminding me that Elliott had to remain very cold towards his mother and that I had to cut off as much of that warmth as possible. It was very useful in a way because Elliott wants to connect to Beatrice as I wanted to connect to Juliet but, unlike Juliet, the character of Beatrice is unable to connect and so Elliott is left out in the cold a lot. I think that contradiction was something very interesting to explore: wanting to connect with someone but being unable to for whatever reason. Would you say that this is something very universal that the film channels…or even just very British? Yes, I think you’re right. I think these are particularly very middle class British people on a holiday out in the south of France but I think it is more generally a very British problem: this culture of restraint and of repression of emotion and feeling, and social embarrassment. I think a key part of the story for Departure is that it’s not just by chance that the story is set in France and on the continent. I think the continent and France and Italy and the romance and the social and sexual liberation of those places in the British imagination plays a big role in what Departure is trying to be: these very English people in this quite foreign land, with Phénix Brossard’s Clément acting as a sort of catalyst, coming up against the chilliness of this English family. Speaking of which, how was your experience filming in France? We were very lucky that all the locations in which we shot were all within about five kilometres’ radius in a tiny village in the Loire Valley in the south of France. I think Andrew wrote the story whilst visiting this place because his friends had a house there. It’s a cliché to say it but the place is as much a character as Beatrice or Elliott or Clément – the house particularly. Usually on projects you drive an hour to get somewhere else and then squeeze in as much shooting as you can but here we were fortunate because we were literally walking from one location to another, since they were just down the road from each other. We were staying within the same village and the whole crew lived there and sort of took over the village for a month, and I think that created quite an interesting atmosphere. You really feel you’re collaborating and you’re all part of something. You couldn’t get away from anyone, in a positive way. It really added to the sense that we were in something together and the time flew by. Let’s go into your background now. You have experience on the stage? I started in theatre, yes. Could you single out any productions that you would consider particularly important for your career or your development as an actor? 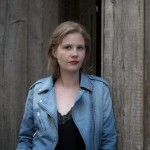 I wouldn’t really have had the opportunity to be an actor had I not had my first job in theatre, which was a David Hare play called South Downs in which I suddenly found myself sixteen/seventeen and on the West End. That was really the moment where I realised I had been lucky enough to start doing what I never really imagined possible. I never really understood how someone got into theatre and started working in film. So without having by chance auditioned for this play and got the part, I’m not sure where I would’ve started. So I have a huge amount to thank that particular project for. Speaking of these different alleyways, as well working in these smaller independent productions, you’ve also had some experience in bigger budgeted projects like The Imitation Game. Would you consider exploring the Hollywood route, given the chance? The Imitation Game was also independently financed, though on a much bigger scale than Departure was, and I was incredibly lucky to be part of that team. I suppose, when you read scripts from the States which are as much of a pleasure to read as The Imitation Game was, then of course it’s something that one wants to do and thinking about whether it’s stateside or from Europe or a British film is secondary. You’re an actor so you want to act. Yes, but also whether the story interests me and, therefore, if I would want to be part of telling it, is sort of the first hurdle. Lastly, are you working on anything at the moment? I am, yeah. I’m busy on some things, which is wonderful. I can’t say what they are because there’s not been any press release about them from the producers but there’s an episode of Black Mirror which I’m leading called “Shut Up and Dance”. The new series will be on Netflix in a month’s time and I’m desperate to watch all of them because I think that they are some of the best pieces of television out there. Then I have two films which will hopefully be released early-ish in the coming year: one called Freak Show and then another, Old Boys. One is an American production and one is an English one. So yeah, lots of things in the pipeline. 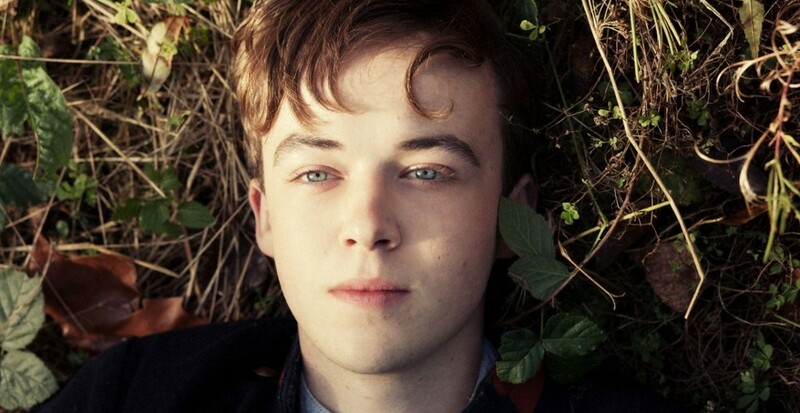 This entry was posted in BRITISH, Features, Interviews, WESTERN EUROPE and tagged Alex Lawther, Andrew Steggall, Departure, French films, french movies, gay films, Juliet Stevenson, LGBTQ+ films. Bookmark the permalink.